School of Data is inviting journalists, civil society advocates and anyone interested in pushing data literacy forward to apply for its 2016 Fellowship Programme, which will run from April to December 2016. Up to 10 positions are open, with an application deadline set on March 10, 2016. 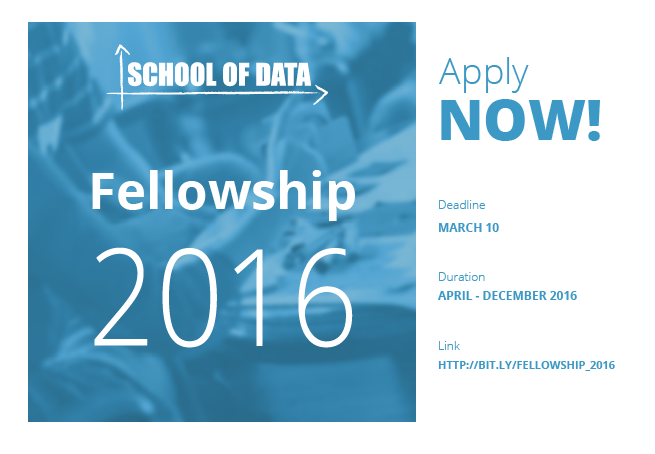 Fellowships are nine-month placements with School of Data for data-literacy practitioners or enthusiasts. During this time, fellows work alongside School of Data to build an individual programme that will make use of both the collective experience of School of Data’s network to help fellow gain new skills, and the knowledge that fellows bring along with them, be it about a topic, a community or specific data literacy challenges. As part of this fellowship, our shared aim will be to increase awareness of data literacy and build communities who together, can use data literacy skills to make the change they want to see in the world. We are looking for engaged individuals who already have in-depth knowledge of a given sector and that they will have been reflecting on the data literacy challenges faced in the field. This will help fellows get off to a running start and achieve the most during their time with School of Data: nine months fly by! 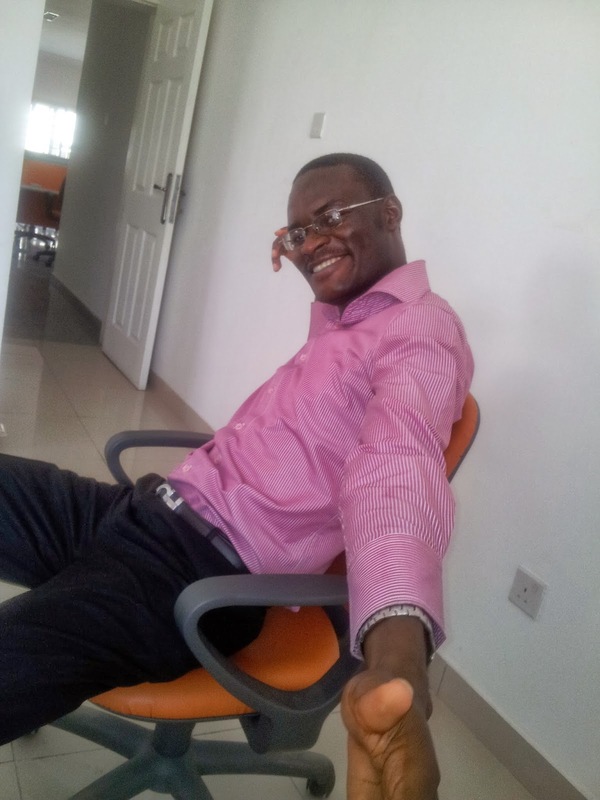 Furthermore, we have already partnered with organisations willing to support fellows interested in working on the following themes: Data Journalism, Extractives Data and Responsible Data. These amazing partner organisations will provide fellows with guidance, mentorship and expertise in their respective domains. The Fellowship will run from April to December 2016, and it entails 10 days a month of fellows’ time to work both offline with their local community carrying out trainings, supporting them on data-driven projects, and meeting their data needs on a flexible basis, as well as online with the global network, sharing learning via online skill-shares, blog posts and contributing to our online learning materials. Fellows will receive a monthly stipend of $1,000 USD a month to cover for their work. In May, the fellows will come together for an in-person Summer Camp (location to be decided) to meet their peers, share their skills, and learn about the School of Data way of training people on data skills. Available positions: up to 10 fellows, with 5 slots reserved for Data Journalism, Extractives Data and Responsible Data applications. Learn more.